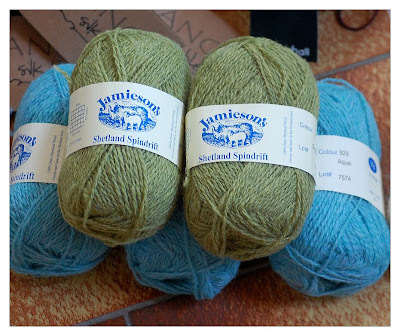 5mal Jamieson’s Spindrift in „Granny Smith“ und in „Acqua“ – das wird wohl „Cladonia“ werden. Die Farbkombi von Tuerkis und Aprfelgruen find ich so schoen fruehlings-frisch, und vor dem Fruehjahr wird das wohl eh nicht fertig. The 5 balls of Jamieson’s Spindrift in „Granny Smith“ and “Acqua” are meant for “Cladonia”. 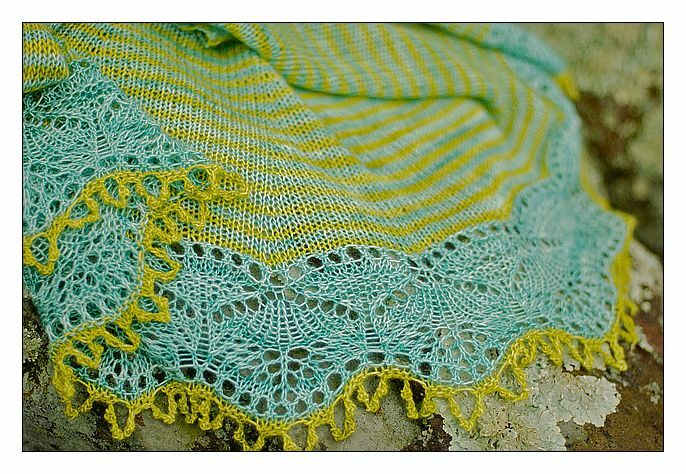 I really like the combination of apple-green and turquoise, it seems the perfect thing for spring.